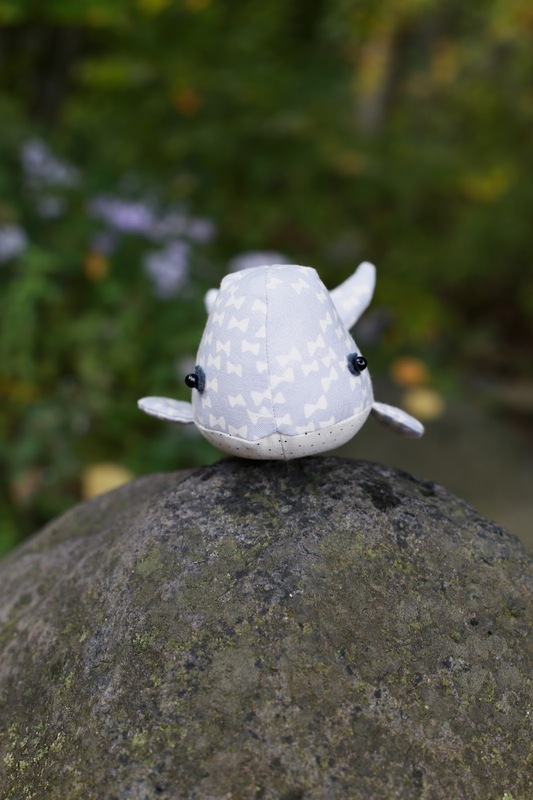 It's time to share my latest softie, Seymour the Whale! I've really enjoyed stretching my skills to make these, you can see my last two sets of softies here: Henrietta Hippo and Moo Moo + Baby Bunnies. 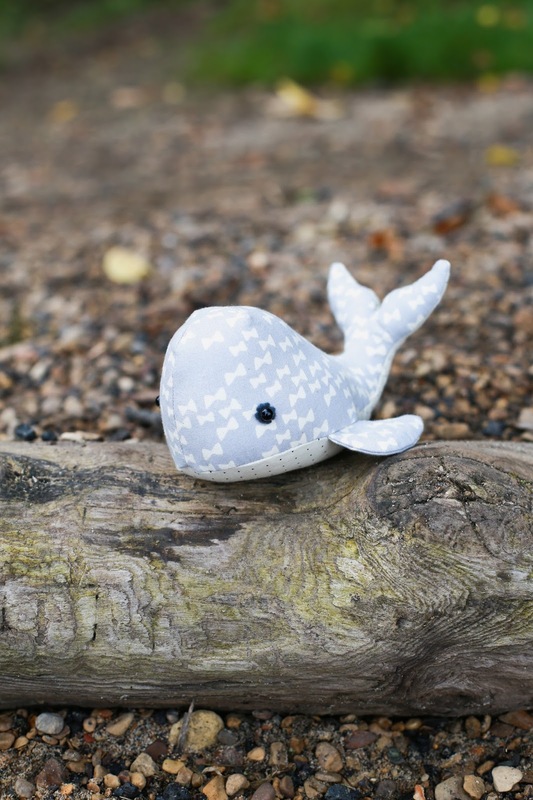 For my whale, I used the Seymour Spyhop pattern by Heather Bailey. Five years ago (whoa!) 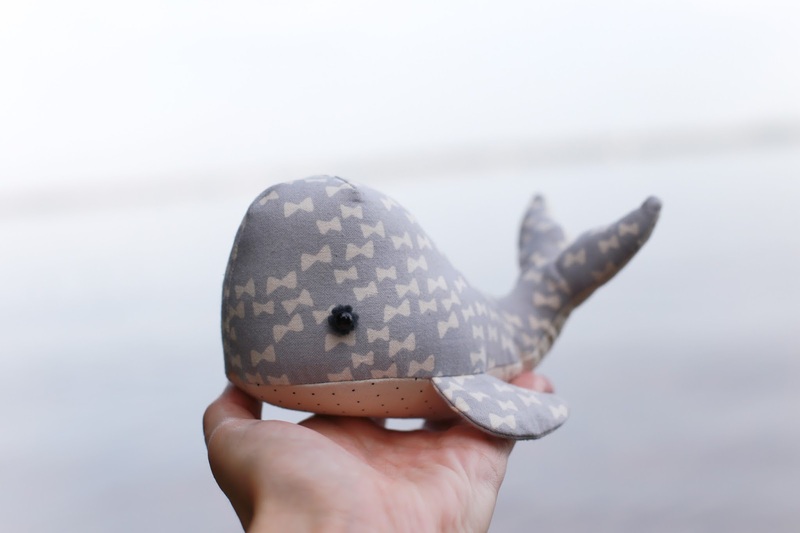 I made an elephant softie from one of her patterns, so I knew this whale would turn out cute. I thought this grey/blue print from Flower Shop would be cute for the main body. For the belly, I used an adorable tiny pindot that I picked up on a whim, but have used quite a bit! Look how cute he turned out! 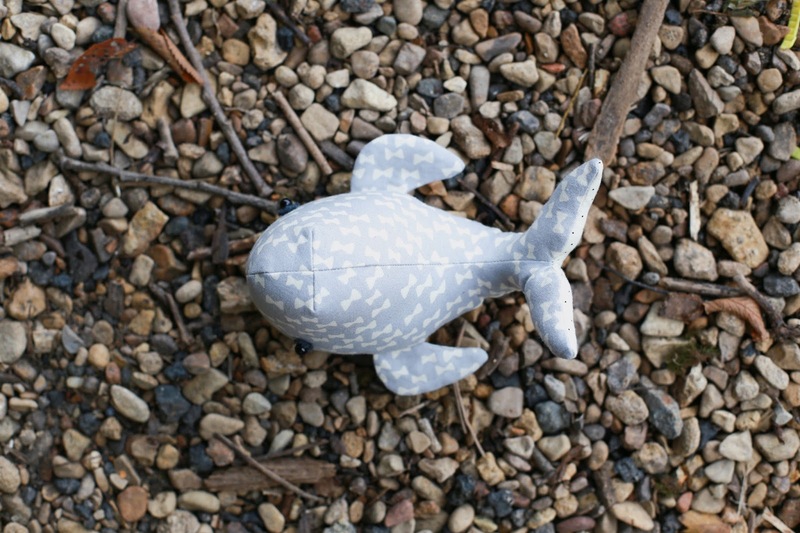 This is a pretty small softie, much smaller than the hippos I made last. 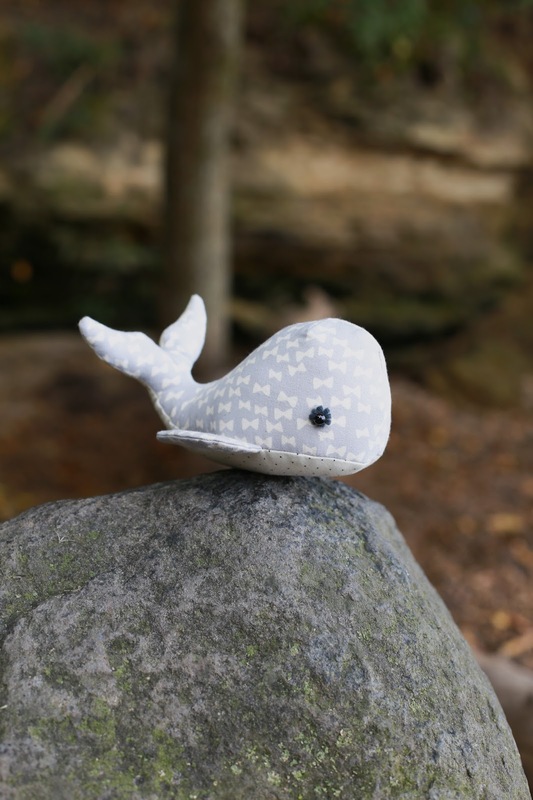 I chose to make a pretty simple whale, but the pattern includes instructions/pattern pieces for making a whale, orca, or a narwhal! The eyes are really different, rather than a button or embroidery, they're made from a piece of cut felt and a small black bead. I probably could have pulled them in a little tighter so they sunk more into the whale's face, but oh well! I think the tail was the trickiest part of this softie, but it really wasn't too bad. Being sure to clip the seams properly after sewing makes a big difference. 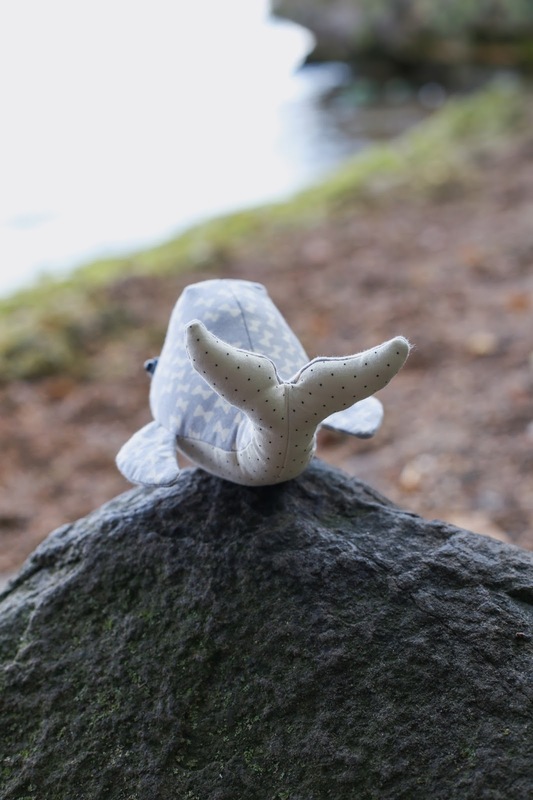 I had fun making this little whale, and it was a good excuse to go down by the lake for some photos. Now I need to figure out what softie to make next! Oh, he is so cute!! How cute! 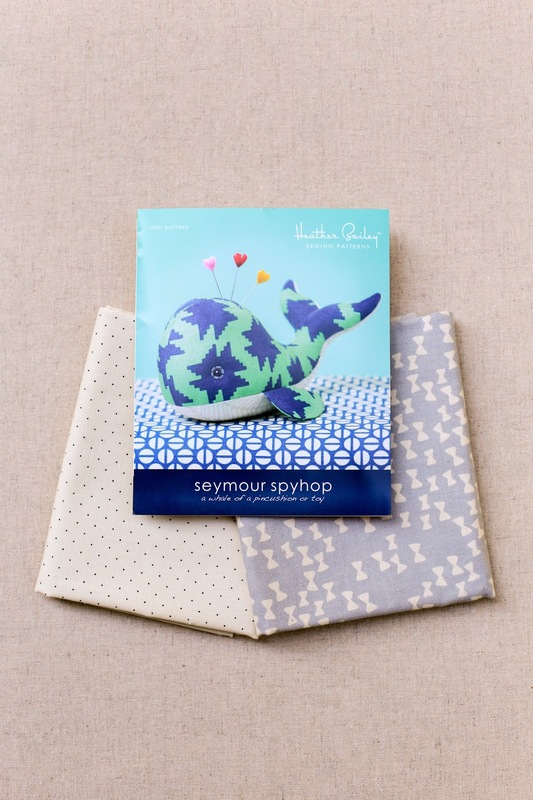 Perfect fabrics for Seymour too! Your little Seymour is just darling, Jeni!